Here you are, running at a good speed. You are on time and set to make your delivery with a couple of hours to spare. You approach a weigh station. You’re not worried. Your trailer is well loaded, you know you’re not overweight on any of your axles, and your logs are clean and up-to-date. You’ll be there just a matter of minutes. And then it happens - you get pulled behind the station for a full-blown inspection. Many of those with trucking jobs are nervous to see if they will pass, but with a guide to succeeding, they needn't worry as much as they need to prepare. Here’s a further examination of what it takes to pass the D.O.T. Inspection with flying colors. There are six different levels of inspections that you might encounter during the course of your truck driving job. A D.O.T. inspection may be administered by either a D.O.T. inspector or a state police officer. The Level II inspection is identical to the Level I, with just one exception. The inspector will not check any part of the truck and/or trailer that requires physically getting under the CMV. The Level IV special inspection refers to a one-time examination conducted to take a closer look at a specific feature of the CMV. Why? If a trucker were pulled behind the weigh station because it looked like you were running heavy on an axle, or that lights were not all working properly, a Level IV inspection will either confirm or refute that issue. 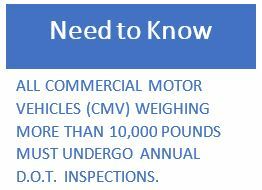 A Level V inspection is focused solely on the CMV. The driver’s physical presence is not required. It is said that the best defense is a good offense - What is a driver's best offensive play for surviving a D.O.T. inspection? It is to do a thorough post-trip inspection at the end of every day and a pre-trip inspection before leaving every day. Doing simple things during the course of handling ones truck driver job can save you a lot of time and money. As many well know, D.O.T. fines are expensive! A blow out is by no means a daily occurrence, however, tires lose air over time. Too much air loss will result in danger to vehicle control. Therefore, check each tire (yes, I there will be 18 of them to check, but the process of doing so is worth the time.) Use a digital tire pressure gauge for the most accurate reading. Each state has its own requirements for mud flaps and splashguards on the rear of the vehicle. Know what your state requires and then make sure you are complying. If there’s one thing that veterans know about working within the transportation industry, it is that lights on commercial motor vehicles are quite possible the bane of any truck drivers existence. Check your headlights (low and hi beam), brake lights, tail lights, blinkers and running lights. If you have a light (even running lights along the top of the trailer) on your CMV then it must be working. Carry extra bulbs in your emergency kit for a quick swap should you find a blown bulb. Did you know that any chip in the windshield can quickly (and quite without warning) escalate into a full blow across the window crack? Check for hairline cracks, star shaped defects, and chips and get them fixed as soon as possible. 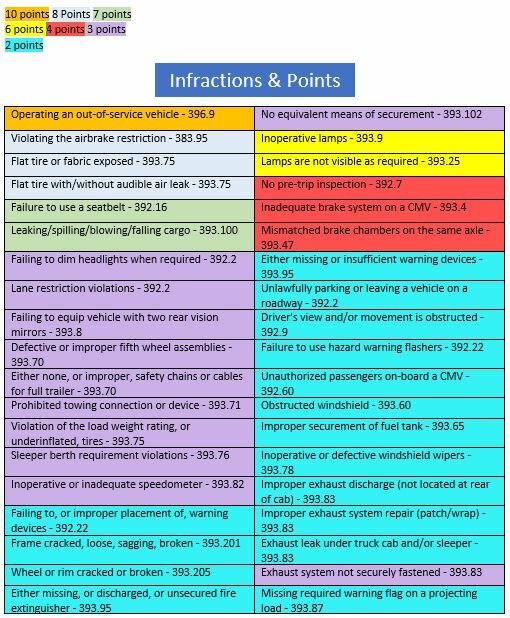 If one is going through an inspection and they are worried about fines and points to be assessed, here is a compiled list of more common infractions (along with the corresponding federal regulation designation). If a drivers keeps the following in line you will find yourself passing any D.O.T. inspection without batting an eye. These inspections may seem like quite a bit of trouble, however, it’s not nearly as overwhelming as a first glance would lead you to believe. The truth of it is, if drivers are inspecting their truck each day they are catching these things when it’s just one issue to resolve. For drivers who only inspect their trucks periodically, it can become overwhelming because the likelihood of having multiple issues to correct grows with each passing day sans inspection. 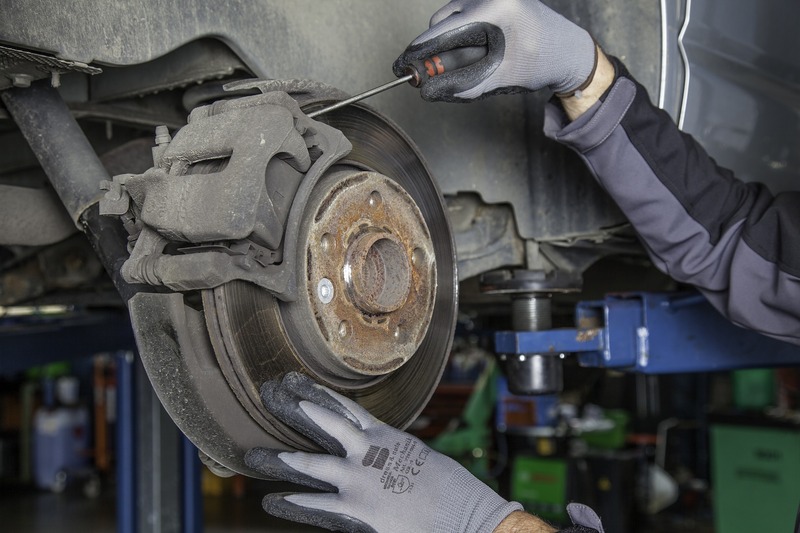 Maintenance is an inevitable aspect of any truck driving job, though, an ounce of maintenance will outweigh the proverbial pound of cure. Qualified and experienced drivers will be the ones that ultimately perform the best on a DOT inspection. While time on the road and experience in certain situations may not directly correlate with one passing an inspection with no problems, experienced drivers often possess a very valuable trait that helps them succeed in multiple arenas of commercial driving – pride in their line of work. This pride often motivates drivers to keep their equipment clean, working, and up-to-date because they care about their line of work. regardless of what inspections or tests may be looming over them. There are a great deal of issues in the trucking industry that are of great importance to drivers, but certainly one of the most prevalent is how others, especially authorities view the machine in which many individuals spend years of their life. Monetary assignments aside, there’s a heightened level of pride that comes with a clean and well-maintained rig, one that can only be found by way of thorough and diligent care of a truck. A daily inspection will keep money in your wallet, keep gray out of your hair, and an inspector off your back. Take the 30 minutes at the end of each day and check your vehicle.